A woman has secured €63,000 damages at the High Court over negligence in her post-operative care at St James's Hospital in Dublin after the removal of a heart pacemaker. 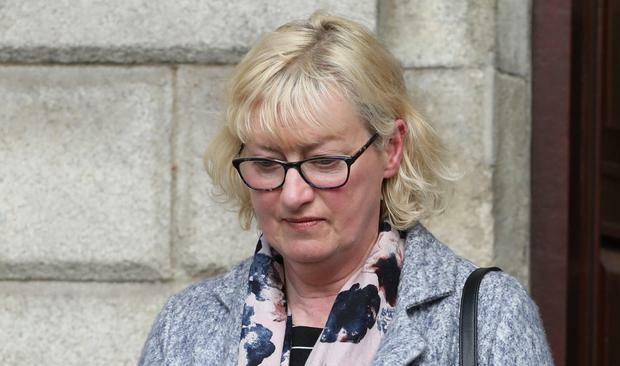 Concepta Anderson (58), of Sooey, Co Sligo, sued the hospital after she had an episode of syncope - heart stoppage leading to a blackout - and fell while in a hospital toilet on May 18, 2014. She was recovering from a procedure to remove her permanent pacemaker the previous day and awaiting the insertion of another. Ms Anderson suffered a head injury and has a permanent forehead scar as a result. Before she had a pacemaker, Ms Anderson had a history of falls and syncope and was a fall risk following the removal of her pacemaker, Mr Justice Anthony Barr noted in his reserved judgment. There was negligence by her consultant cardiologist in not ensuring clear instructions were given to nursing staff that Ms Anderson was a fall risk and should be confined to bed and only permitted to walk with supervision. She had also suffered anxiety and sleep disturbance, symptoms of acute stress disorder. Mr Justice Barr assessed total damages at €63,112.